After retiring from a nursing career and relocating to Delaware, Wanda Tucker, RN, was searching for a volunteer role that would provide an outlet for her compassion and skills. She found it at Delaware Hospice. The Volunteer RN Program offers retired nurses an opportunity to share their expertise and to continue to experience the self-fulfilling rewards of caring for others. 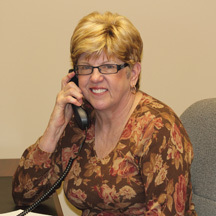 Wanda believes that her presence there has been greatly appreciated by families. She has been able to reinforce safety issues, demonstrate deep breathing techniques, or emphasize the importance of exercising the arms and legs of bedridden patients. Wanda also donates her time and expertise in the Delaware Hospice Family Caregiver Training Program. While a Delaware Hospice volunteer stays with the patient, allowing family caregivers to attend the training, Wanda and other volunteer RN’s provide educational sessions that address the unique needs of family caregivers. These educational sessions include hands-on training to family caregivers in the areas of safety, infection control, body mechanics, fall precautions, skin care, etc., along with self-care strategies and available resources. Delaware Hospice is currently seeking nurses statewide who are retired, unemployed, or underemployed and interested in sharing their skills as a Volunteer RN in patient care or caregiver education. Please contact Ralph Plumley, Support Services Manager, at 302-478-5707 or rplumley@delawarehospice.org for more information. More than 800 volunteers bolster Delaware Hospice’s activities, each contributing his or her own special gift. Volunteers may visit patients to give the caregiver a break, run errands, help out in Delaware Hospice offices, or help organize a fundraising event. In addition to the Volunteer RN Program, unique opportunities for service to others include Vet to Vet Volunteers and Memory Bear Seamstresses. New volunteers receive a comprehensive and worthwhile orientation so that they are well-prepared for their volunteer activities. To make a difference in someone’s life and enrich your own, call the Volunteer Coordinator in your county at 800-838-9800. Next Story → What’s New In Brain MRIs? EVERYTHING.